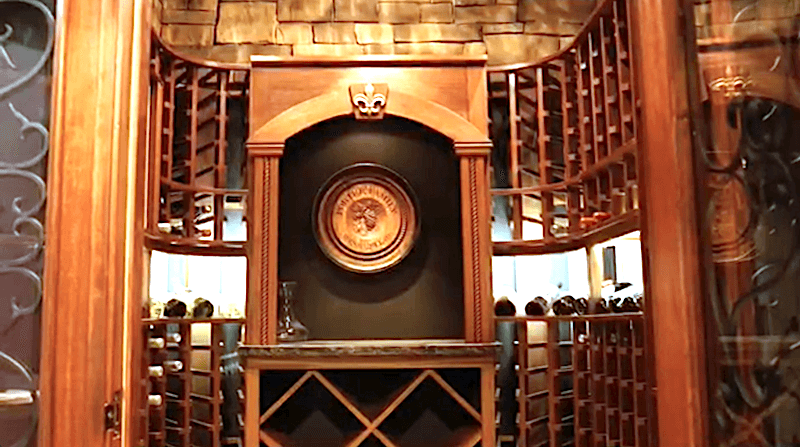 Naperville family added a cozy wine cellar with wine tasting area to their stunning home. Features: climate controlled cabinet that provides enough storage for 600 bottles. The tasting area with a French bistro feel with a table for six. The mahogany paneled cellar with leaded glass and imported French tile flooring. Add a great room to your home and entertain family & friends - contact Baroque Design today. The room was approximately 16 x 19 and had very a large ceiling height. This simply means that the possibilities are endless. In this case we decided to go with a massive vaulted ceiling. The result was stunning, capturing an 18th century wine cave ambiance. This is our client's favorite room in the entire estate. Our prospective client has a 4 foot by 12 foot back hallway used to accumulate junk; asks if we can help. Here's the results. Baroque Design transformed an average looking rec room into a stunning home theater. The Baroque Design team was tasked with converting an average looking rec room into a classic home theater: mahogany paneling and moulding, starry ceiling, bar with seating for six and eight leather theater seats. The HD video and audio system installed was awesome! The Baroque Team was asked to convert a closet into a wine cellar in a prestigious Downtown Chicago high rise condo. The area we had to work with was an existing foyer closet, 4 foot wide by 2 foot deep by 10 foot high. Our client, Mr Guy Buccifero, wanted the maximum amount of storage. We designed horizontal racking 4 bottles deep in addition to diamond racking, and a lighted display row for magnum bottles. We were able to provide our client with a climate controlled 750 bottle cellar. 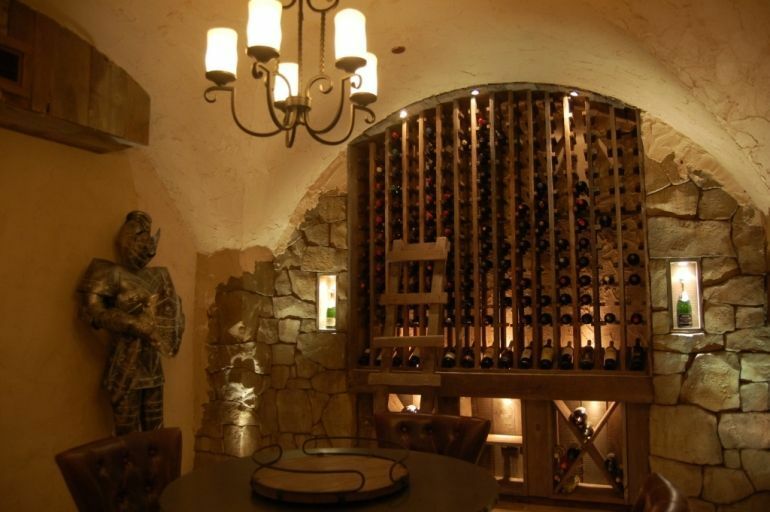 The Baroque Design team just finished up a great looking 800 bottle wine cellar in an awesome Naperville home. Clients wanted a wine barrel as centerpiece over a granite bar surrounded by variety of racking, individual with lighted display row, diamond racking, etc. Came out great!